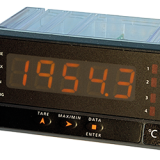 We offer a range of high performance digital indicators for measurement and control of temperature. 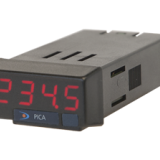 From simple displays to the ALPHA-T high performance instrument, there is a panel meter suitable for your temperature measurement application. 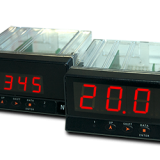 Selection of the input type is done by the keyboard which enables direct connection to several types of transducers such as Pt100 RTD, Pt1000 or thermocouple J, K, T, R, S, or E. Display readings in Celsius or Fahrenheit, resolution of degrees or tenths of degree and programmable offset temperature from -99 to +99 counts of display allows the meters be adapted to fit desired application. 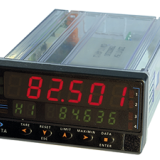 In addition, 18 logical remote functions and a 10 levels filter provide stable readings in almost any process type.